It’s late but, yes, that’s my weak attempt at some October title humor. My search for better employment (including job fairs, workshops, etc.) takes up an annoying amount of time. So, just get to the photos! 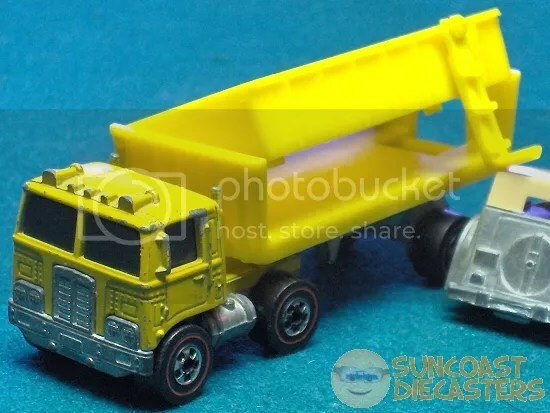 Original Ken snags this sweet Articulated Truck by Matchbox. 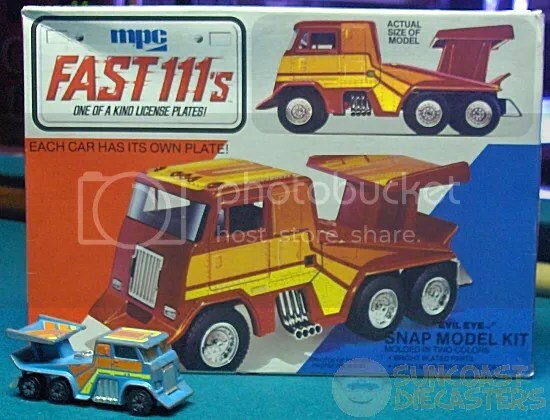 Its base states that it’s actually at 1:115 scale. Let’s be honest: It’s all still 1:64 in our hearts. Seriously, though, please take time to appreciate the effort Dough puts into these builds. Each of those pieces is hand-cut. Large Harvester Michael shows how he maintains his Sizeable Combine certification, by bringing these, um … big tractors. I’m particularly curious about that blue fellow at the left, there. Hey, look, it’s– Oh, wait…. Not exactly Optimus Prime … But, eh, close enough. Just in time for Hot Wheels’ 50th Anniversary, Mike Corey had this 40th Anniversary custom-edition GMC Motor Home. Of course, the GMC looks good in *any* paint scheme. Even though it was Saturday, Big Rob brought in a little #ThrowbackThursday by wearing his old Hot Nuts T-shirt. 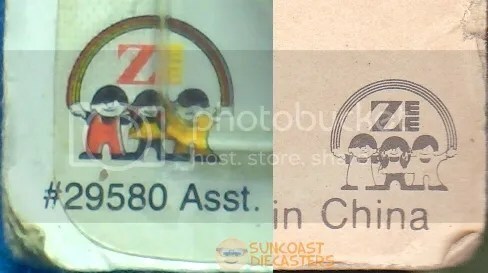 I’ve mentioned before that Hot Nuts was the predecessor to Suncoast Diecasters. Having a Flame Sprite emoji in the logo is what doomed the club. “He’s the Hot-Movin’ Guy/With his hands on the wheel/He’s the Fast-Drivin’ Man/With the–” Okay, that’s not really a theme song from anything. I know for a fact you were trying to sing along, though. Don’t deny it. Hey, mister! Your thing is dragging! What can I say? Big Rob, thank you, and thank you again, and thank you once more. 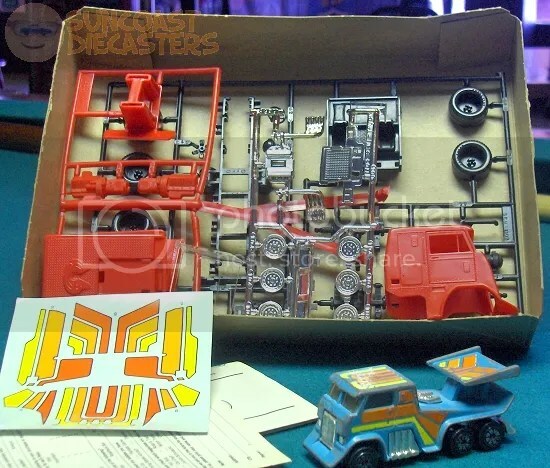 He RAOK’d me with these two large-scale RC replicas of Twin Mill and Sweet Sixteen II. These massive rides are over 12″ long! It was one of those meetings where practically everything stood out in its own way. 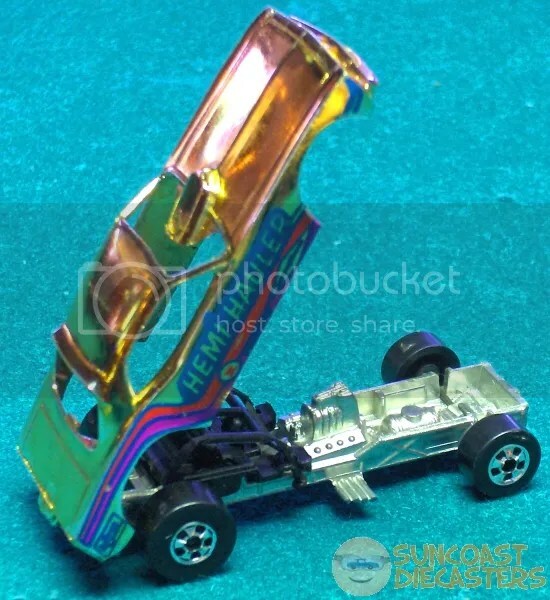 I’ve made it a rule for the site not to have multiple FotMs; so after careful consideration, I have selected Big Rob’s Strombecker Cheetah, and his box-busting Hot Wheels RAOK to me. Congratulations, Rob; both of our Dual Finds of the Month(**) for October 2018 are yours! See you at our November meeting! –Which is this Saturday! We’re too close to our May meeting to waste time on a silly intro. Get to the photos! Well, I done it again. Big Tractor Mike had eight of these shiny Holiday hay-haulers, and I arranged them in what I thought would be a good presentation: four across, in two rows. When I offloaded the photos and began editing, I realized that at the size I use here on the site, that 2-by-4 photo would provide only postage-stamp sized tractors (further, several had bad glare). So instead I chose the best-looking one of the bunch to showcase. Just reload the page seven more times to get what I was going for. Similar good concept/poor execution with these loose baubles. The upper portion of the photo is as I intended; however the holiday call-outs on the cab roofs are illegible. So, I zoomed, rotated and cropped them to provide the legible lower labels. Composition! Plus a wee bit o’ alliteration! All this leads up to this miniature yet massive dealership lot BTM set up. You can almost see teensy people shopping and kickin’ some tires. Come on down to Big Tractor Mike’s. Hot Dogs and free balloons for the kids. And for those of you who are hoping for just such a thing, here is another view of the sweet showroom model which turns a collection of toy tractors into an attractive diorama. Naming rights available. Contact BTM for details. Tractor Power from Suncoast Diecasters on Vimeo. And yes, I did the “video shuffle” as described in last month’s update. 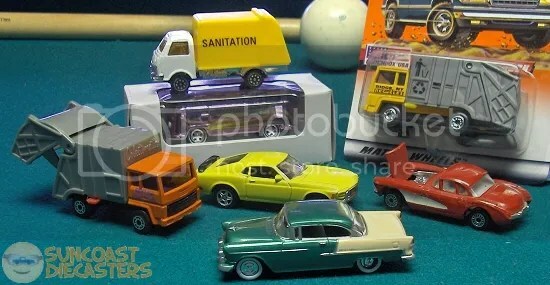 For the last few years, the Happy Meals Hot Wheels models have been rather hit-n-miss (IMHO). 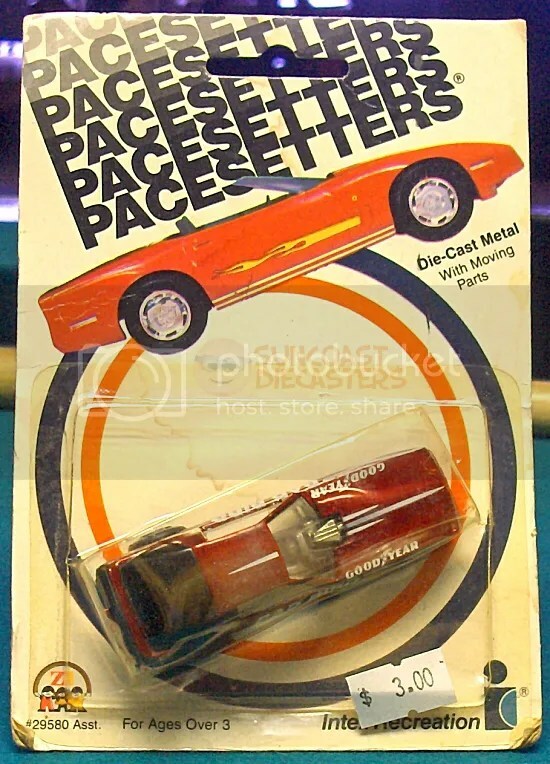 Sometimes they’re quality diecast models worthy of mainline status. Sometimes they’re plastic but still well-designed. And sometimes they’re just cartoonish toys suitable only for children and hard-core completists. In this case, Ken scored well with this model he bought from Ed. This, as you will see, is a sweet treat. Turns out it’s a stylized Studebaker Wagon. Also features some serious firepower poking up through the hood. Yes, it’s all plastic; nonetheless it’s very attractive and would complement any collector’s display. Ed actually had two of these, but someone else got to the second one before I did. Now here, we get to some serious, serious metal. Big Tractor Mike bought this Big Metal Model from Ed. This is an MG T-series roadster (minor design inaccuracies prevent me from identifying which specific T-series model). It’s large, about 9″ long. Based on the body lengths stated in the Wikipedia article, that puts it at right around 1/16th-scale, which interestingly enough happens to be a scale associated with Live Steam modelling. This would look great in a 1/16th train diorama. Aside from paint wear, the car is in good shape, and seems to be complete. 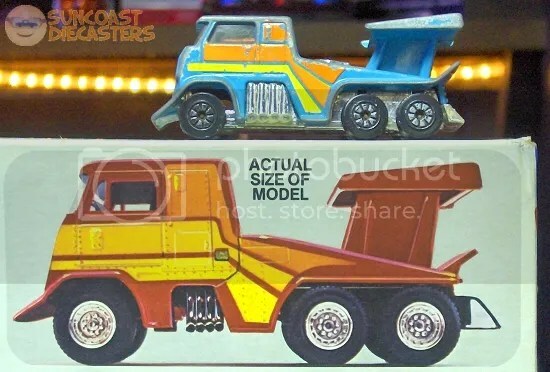 The model is a product of the Hubley Manufacturing Company. 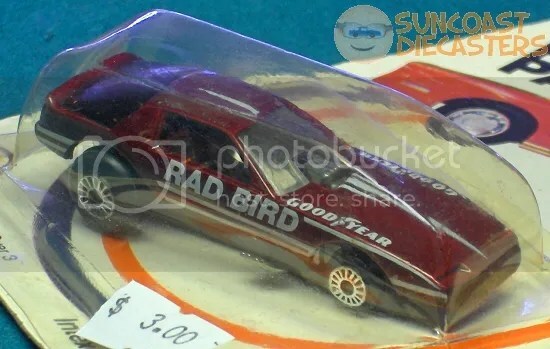 So, this is not only a great model, it’s also a memento of that golden age when American toy companies actually made their toys here in America. I’m-a pour out a wax bottle of soda for my homies. And speaking of serious metal, how about some terrific tin? 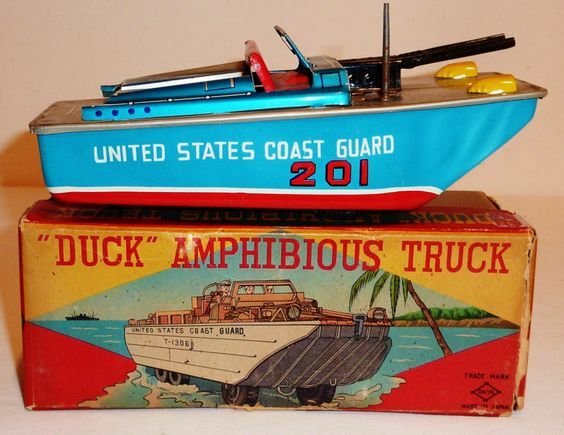 This is a USCG “duck” amphibious truck, and is an example of classic Japanese tin lithography toy-making. “Tin litho” has been around for over a century, with manufacturers in several countries, but it wasn’t until after WWII and the “sci-fi” craze of the 1950s that Japanese tins toys — particularly space and sci-fi themed toys — really took off in America. Poor focus included at no extra cost to you. This long-ended eBay listing gives some detail about this model, for example, that it has a friction motor. 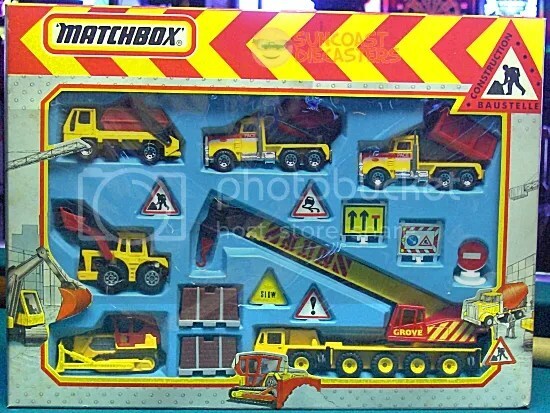 This is typical of such toys: One or more actions are available via either friction or pull-back, wind-up, or battery power. 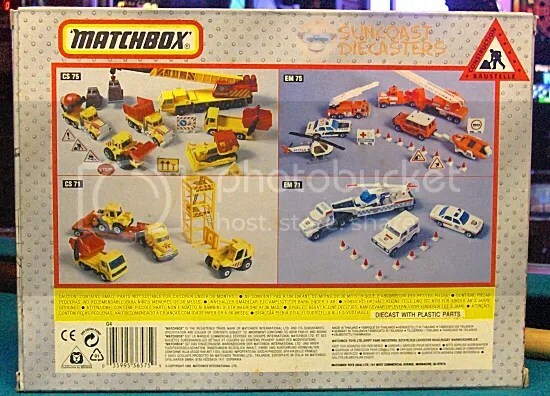 That listing also mentions the box. Here’s a nice photo of it, which you may find pinteresting. This model is by Daiya, which I could find precious little information about online. In fact,the one page that says anything significant about the company barely says more than that the company was founded in the ’50s, was active from the ’50s through the ’70s, then disappeared. Thanks for coming through again, Internet! Well, okay, YouTube does provide some fun. So here we are at the end of the update, and it’s time for the declaration I always make at the end. And this time, I have the great privilege of having double the privilege. 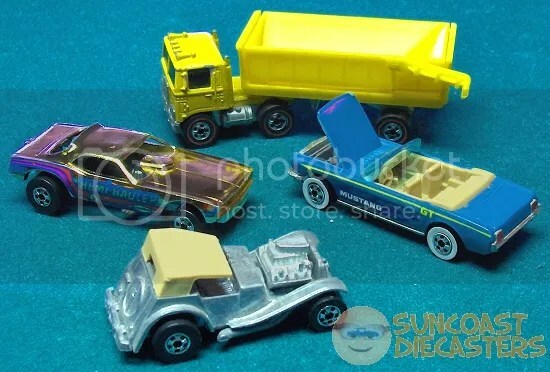 Yes, for only the third time in Suncoast Diecasters‘ 10-year-plus history, I am very happy to announce Dual Finds of the Month(**): The Hubley MG roadster, and the Daiya USCG “duck” amphibious vehicle. Congratulations, Big Tractor Mike, you’ve done very well! And so did you, Big Tractor Mike!